Does this print look oddly familiar? Reminiscent of your childhood, perhaps? Well, there’s a very good chance you saw this horse and its rider many times throughout your childhood – but it may have been blue when you last saw it. The bold use of colour and classic designs are hallmarks of renowned 70s artist Graziela Preiser, a German textile designer who brought the world popular prints that have become timeless favourites. 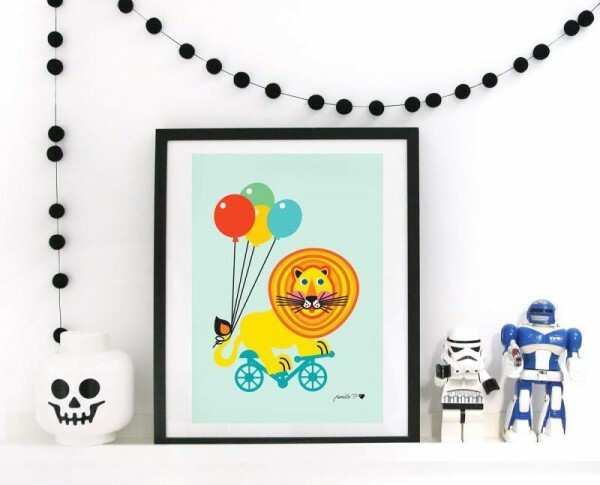 Some 40 years later, Preiser now works with her daughter under the brand name byGraziela, and has just released a new collection of children’s posters that dish up one big serve of nostalgia. In this fabulous new collection we see some favourite Graziela characters re-worked and freshened up for a whole new generation of admirers. The new-release posters come in A3 format – a convenient size for framing and hanging in nurseries and kids’ rooms. 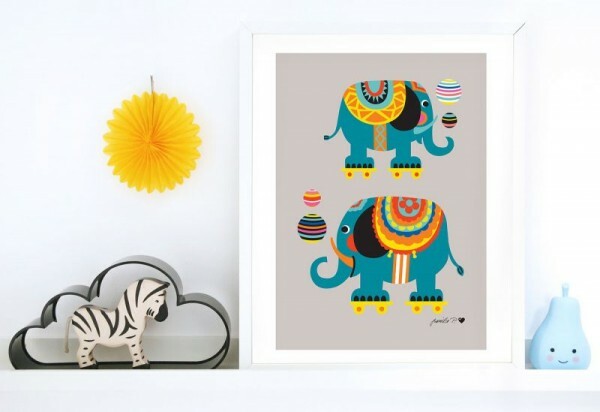 Following the theme of the popular Circus poster from 1974, there are now individual posters of some of the key characters – Circus Weightlifter, Circus Lion, Circus Elephant and Circus Horse. Of course, the old-time favourite ABC poster is still available (in a larger format) and has been re-released in other colour options. Other classics including Farmyard, Train and Circus are also there to get your hands on – you see, that horse was blue! It is not difficult to see why Graziela’s artwork has been loved by children for years. 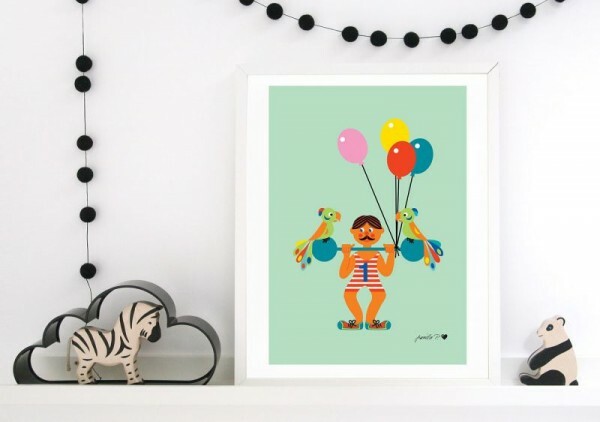 Colour, fun, frivolity and imagination positively ooze from her textile and print designs – just the right combination to put grins on little faces and liven up bedrooms. The children’s posters are printed with vegetable inks and packaged in protective tubes. A3 posters are €14.90 and the classic posters are €19.90 and are available at byGraziela with shipping to Australia.